This picture is basically a failed experiment. 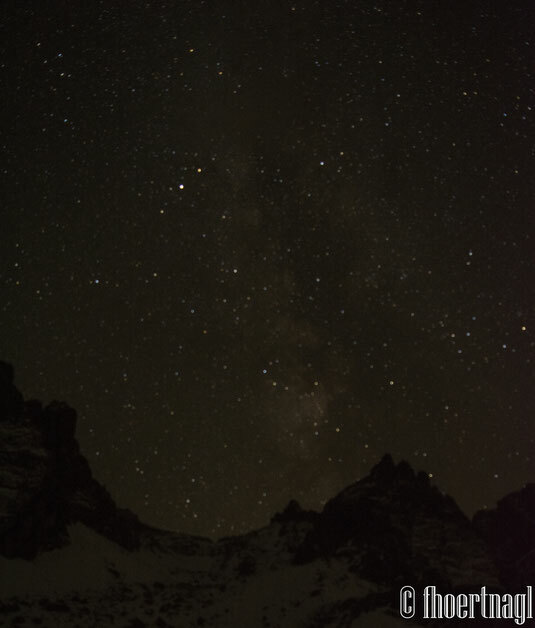 We hiked to a mountain hut and when it was dark I went outside to finally try to take pictures of the night sky. On the small screen of the camera it seemed like a success, but only when I viewed the pictures a view days later on my computer, I recognised that the pictures were extremely out of focus. 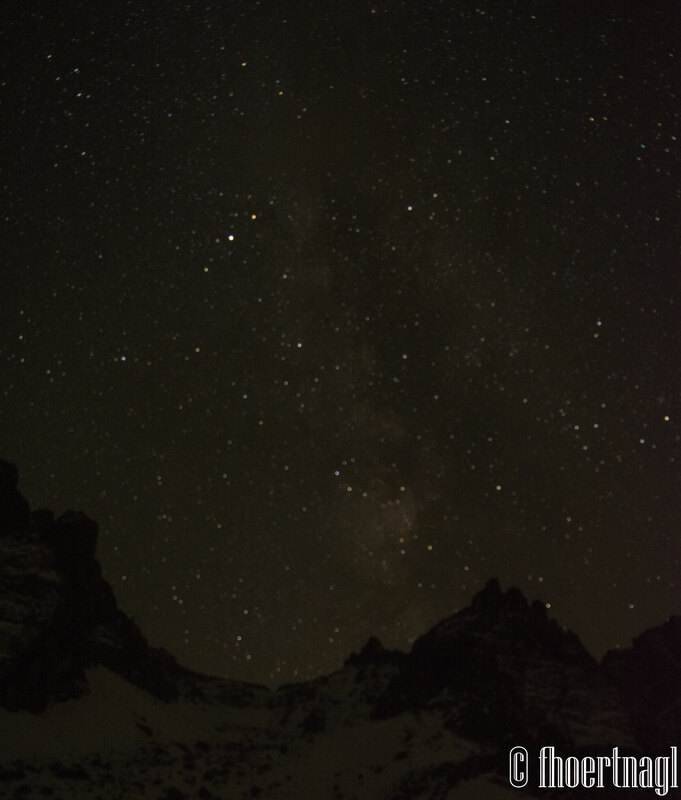 But nevertheless I will continue to try making pictures of the night sky! Dieses Bild ist im Grunde ein fehlgeschlagenes Experiment. Wir wanderten auf eine Berghütte und als es dunkel war ging ich nach draußen um endlich Bilder vom Nachthimmel zu machen. Auf dem kleinen Bildschirm der Kamera sah es nach einem Erfolg aus, aber erst als ich die Bilder einige Tage später auf dem Computer-Bildschirm ansah, bemerkte ich dass die Bilder total falsch fokussiert waren. Nichtsdestrotz werde ich weiterhin versuchen Bilder vom Nachthimmel zu machen!